The name Ogle and its many derivations are so ancient that the exact origin, spelling and true meaning of the name may be lost in antiquity. The Ogle name may have come from the Celts who immigrated from Western Europe to the British Isles as early as 1000 BC. The Swedish name Ogell, which existed in the eighth century, may have been the source of our name. Some researchers believe the name Ogle, or its equivalent, was Gotho-Scandinavian, possibly from Jutland. 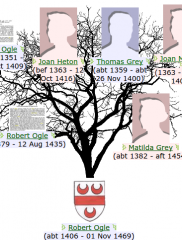 Humphrey de Ogle, is the first identified Ogle (or Hoggell), ancestor among the English. In about the 11th century, he was granted, “all such lands and liberties as he or any of his predecessors had before the coming of the Normans.” To regain his land from the Norman conquerors of England, knowing his “predecessors” was of prime importance to the Saxon, Humphrey de Ogle. 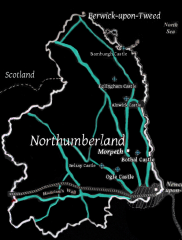 Historians record that only a handful of Saxon families survived the Norman takeover in Northumberland. The Ogles of Ogle (a small hamlet) and the Roddams of Roddam, who probably did homage for their lands, were among the few survivors. The history of the Ogles in England, during the 600 years following the landing of William the Conqueror in 1066, is rich and colorful. It kept close pace with events in Northumberland — the wild border region between Scotland and England — where the Ogles originated, expanded and flourished. 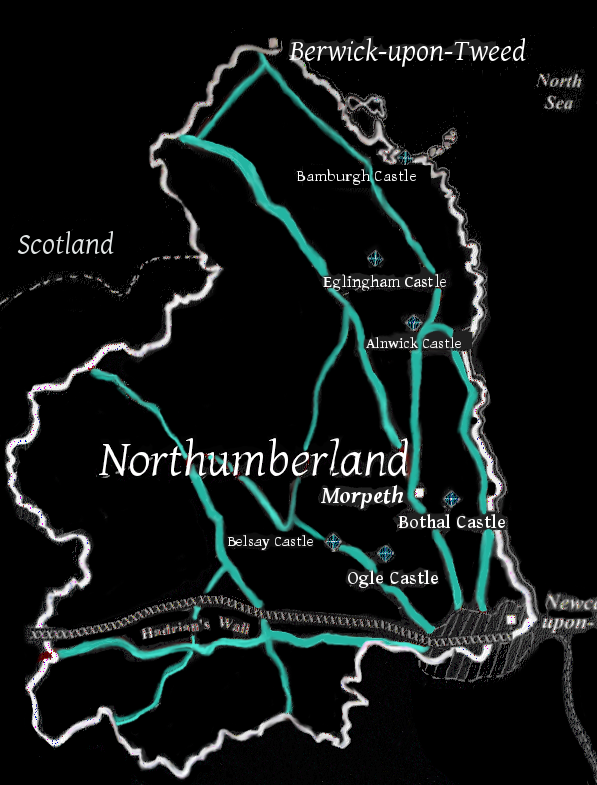 Scores of English Border families in Northumberland held their lands in fief of the king for wars and raids on the Scottish Border. Many Ogles were knighted for service to Crown and Country. 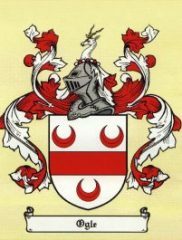 At least seven lords and thirty knights descended from Humphrey Ogle, Esq. 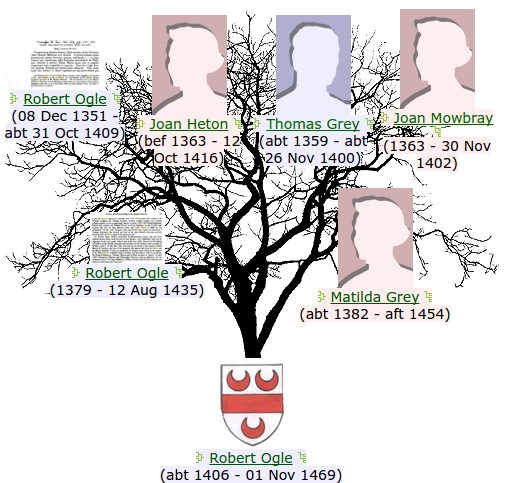 American Ogles are probable descendants of King Edward I, through the children of Sir Robert Ogle (1380-1436) of Ogle Castle and Matilda (Maude) Grey, daughter of Sir Thomas Grey of Heton and Joan de Mowbray. In 1399, Maude married Sir Robert Ogle. 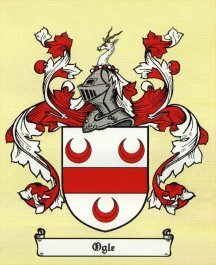 They had several children.1Norcliffe, C.B. (1881). The Visitations of Yorkshire in the Years 1563 and 1564: Made by William Flower, Esquire, Norroy King of Arms, (pp. 233). Harleian Society. Google Books.